Newly revised with 33 more pages and a 52 track play along practice CD! 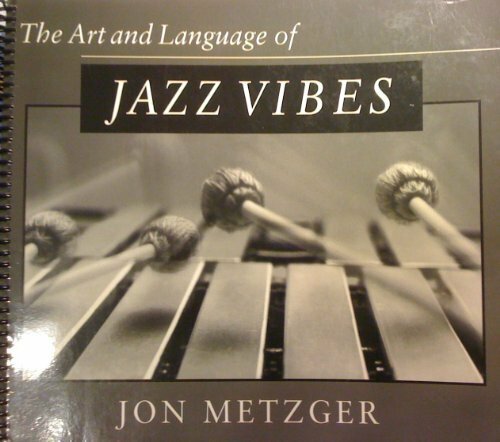 A comprehensive 397 page course on everything the beginning/intermediate jazz vibist will encounter, including valuable information on the physical aspects of playing the instrument (stance, grip, stick positions, touch, pedal techniques, etc...), articulation, blues, altered chords, reharmonization, two and four-mallett exercises, remembering tunes, solo transcriptions, and much, much more! New play along CD makes this method much more effective and enjoyable. If you have any questions about this product by Jon Metzger, contact us by completing and submitting the form below. If you are looking for a specif part number, please include it with your message.